The Federal Aviation Administration announced Friday that 149 contract air traffic control towers will start closing April 7 as the agency implements $637 million in budget cuts under sequestration. Closures will take place over four weeks and some communities will choose to participate FAA’s non-federal tower program, where towers assume the cost of air traffic control services at their airport, the agency said. An additional 16 federal contract towers will stay open under a cost-share program because congressional statutes mandate funding for those towers every fiscal year, according to the FAA. 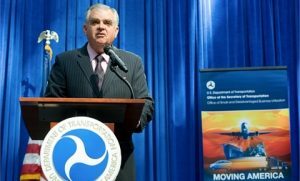 “We heard from communities across the country about the importance of their towers and these were very tough decisions,” Transportation Secretary Ray LaHood said. “Unfortunately we are faced with a series of difficult choices that we have to make to reach the required cuts under sequestration,” he said. The FAA originally proposed to close 189 contract towers in early March and said Friday it will leave 24 of those towers open, citing national interests such as threats to national security, economic impact beyond a local community, impact on multi-state networks and if an airport with a contract tower acts as a diversionary airport to a large hub.